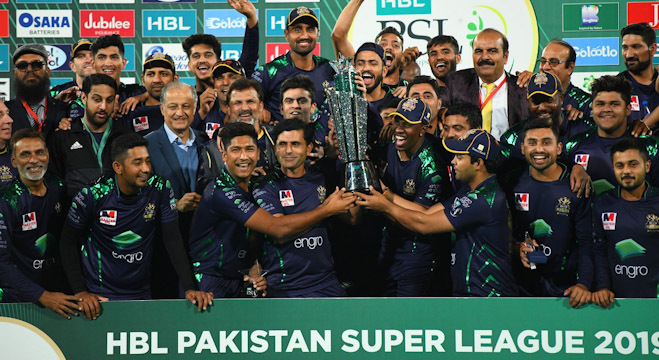 Karachi: Rookie paceman Mohammad Hasnain grabbed three crucial wickets while opener Ahmed Shehzad scored a brilliant half century to steer Quetta Gladiators to their maiden HBL PSL title by beating Peshawar Zalmi in the final by eight wickets in Karachi on Sunday. Hasnain’s 3-30 in four overs kept Peshawar down to 138-8 in 20 overs before Shehzad’s 51-ball 58 not out with six boundaries and a six helped Quetta to overhaul the modest target in 17.5 overs much to the joy of a packed 32,000 National stadium. Shehzad made sure Quetta did not lose track after losing their prolific opener Shane Watson for just seven in the third over with the total at 19. Shehzad added 47 for the second wicket with Ahsan Ali who made 18-ball 25 with a six and three boundaries. Shehzad then led his team towards the target with another solid unbroken stand of 73 with Rilee Rossouw who made 39 not out off 32 balls with five boundaries. Rossouw hit the winning single as title deprived Quetta players raced to the pitch to congratulate the unbeaten batsmen and hugged each other. Once the celebrations slowed down the stadium was lit up with a eye-catching firework. Quetta had lost the 2016 final to Islamabad and another final to Peshawar a year later. Hasnain was delighted at being man of the match. “I am thankful to Almighty a chance to play the final and then be man of the match,” said Hasnain, who is also in Pakistan’s squad for the five-match ODI series against Australia starting on Friday. “Thanks Almighty for giving us this honour,” said Sarfraz. “I am grateful to the crowd for coming here and support us. Peshawar skipper Sammy admitted his team did not put up a fighting total. Peshawar’s innings could not set out as intended, with Imam-ul-Haq and Kamran Akmal parted at the score of four. Imam miscued a lofted shot of Sohail Tanvir and was caught by Ahmed Shehzad for three. 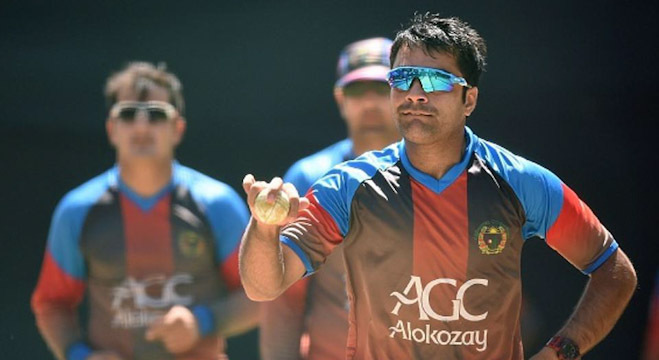 Kamran, who with Imam had put 135 in the win over Islamabad in the second qualifier on Friday, cracked three boundaries and a six but was bowled off spinner Mohammad Nawaz as he failed to connect a shot after jumping out of his crease. Sohaib Maqsood, who scored run-a-ball 20 with three boundaries, added 31 for the third wicket with Umar but the scored at slow pace which allowed Quetta bowlers to attack. Maqsood was dismissed by Dwayne Bravo while Amin holed out of Hasnain. Peshawar had expected Kieron Pollard to add some fire to the batting but he too fell to Hasnain, caught behind for seven while Darren Sammy scored 18 with two boundaries. 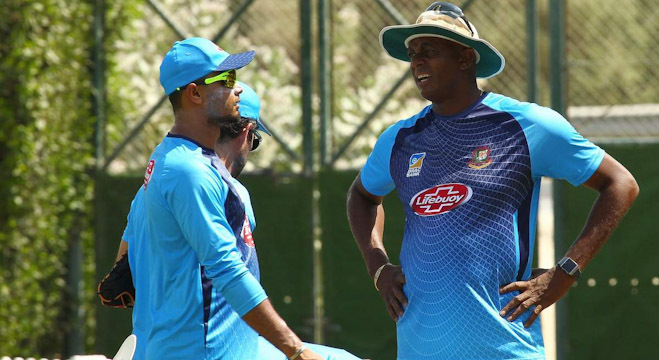 Dwayne Bravo finished with 2-24. Sarfraz received the glittering Swarovski crystal trophy from President Arif Alvi along with a prize money of half million US dollars while Peshawar received 200,00 dollars. Islamabad won the inaugural title in 2016 and then doubled it with another last year. Peshawar paceman Hasan Ali received the best bowler’s award, taking 25 wickets. Watson won the dual prizes of player of the HBL PSL and batsman’s award by scoring 430 runs in 12 matches. Karachi Kings’s left-arm spinner Umar Khan was declared best emerging player of the league, taking 15 wickets.